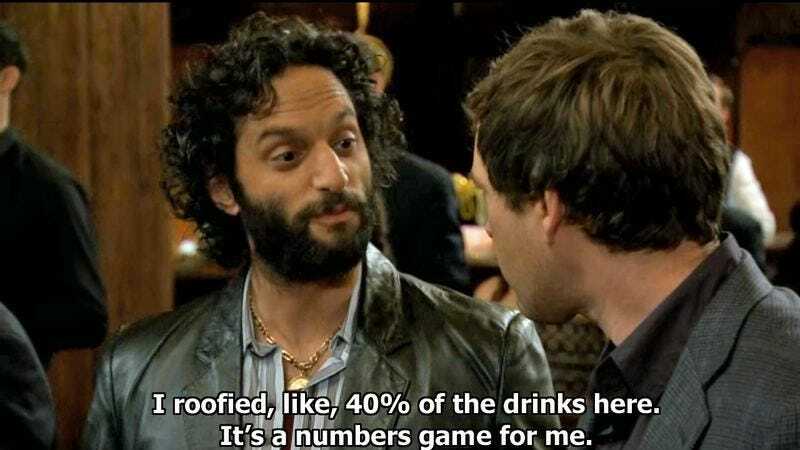 According to Variety, the New Line comedy The House, starring Will Ferrell and Amy Poehler, is about to get next-level bonkers with the addition of Jason Mantzoukas. Mantzoukas is perhaps best known as Rafi, the degenerate, bear-poop eating fifth wheel on FXX’s The League, and for literally saying “literally” more than anyone in human history on Earwolf’s How Did This Get Made podcast. Andrew J. Cohen, who penned Neighbors, is directing The House, which stars Ferrell and Poehler as a couple who start an illegal neighborhood casino after they spend their daughter’s college fund. Presumably they hatch this plan after passing on other criminal neighborhood ventures, like a cockfighting circuit, black market for human organs, insider trading ring, neighborhood raw milk co-op, counterfeit Redbox machine, or forming an HOA without the sanction of legally recognized real estate developers. Mantzoukas’ role in The House is unspecified, but we’re guessing it will involve playing an excitable pit boss, agitated blackjack dealer, or some other stereotypical neighborhood fixture with energy to burn. Mantzoukas will next be seen in IFC’s Sleeping With Other People. The House is being produced by Ferrell and Adam McKay’s Gary Sanchez Productions shingle, along with Nathan Kahane and Joe Drake of Good Universe and O’Brien.